Russell Tipton joined the Department of Music Activities in the summer of 2016 as the Associate Director of Bands. In this role, he conducts the Symphonic Band and Concert Band. Mr. Tipton also serves as an assistant with the “Fightin’ Texas Aggie Band”. Mr. Tipton is a 2000 graduate of Humble High School in Humble, Texas. He attended Lamar University where he received his Bachelors in Music Education (2004) followed by a Masters in Music Education (2006) and a Masters of Educational Administration (2008). 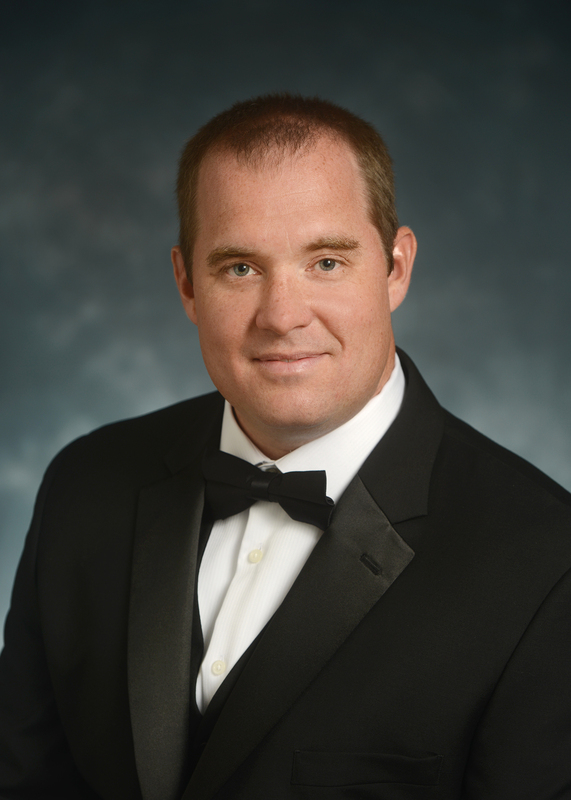 Prior to his appointment at Texas A & M, Mr. Tipton taught in the Texas public school system as the Director of Bands in Bridge City ISD, C. O. Wilson Middle School and Hardin-Jefferson ISD. His bands regularly received the UIL ‘Sweepstakes’ award and had bands advance to the UIL Area C Marching contest on several occasions as well as being recognized as a State Finalist in the Texas Music Educators Association Honor Band competition multiple times. As a performer, Mr. Tipton served as principal tubaist in the Symphony of Southeast Texas from 2011-2016. Mr. Tipton is a member of the Texas Music Educators Association (TMEA), Texas Bandmasters Association (TBA), Texas Music Adjudicators Association (TMAA), Phi Beta Mu, Phi Mu Alpha and Kappa Kappa Psi. Mr. Tipton lives in College Station, Texas with his wonderful wife Lindsey and is the proud father of his son, Nolan.